Today was a big leap forward for us away from our "bleh" beige wall in our living room, and we have Expert Crown Moulding to thank for. This is the third time we used their service, and they have never disappointed us. 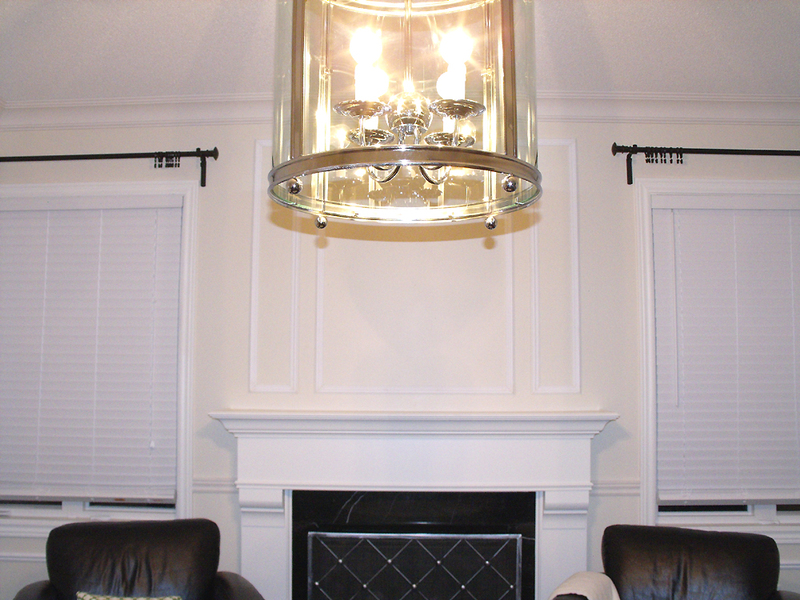 Look at these full-wall picture-frame wainscoting. It's late and I am tired so I didn't take any close-up pictures --- but the work is flawless! I was debating whether to go with the full-wall wainscoting up until last night but I am so glad that I went through with it. Just wait until how divine these walls look when they receive a couple of coats of antique white paint. Yes, white is in, and following footsteps of Janice at Life Begins at Thirty and Lindsay at Aubrey & Lindsay's Little House Blog, I am painting my living room white too! See the three frames above the mantel? The arched mirror from Uttermost (out of stock until May) will go in the middle, and the two sconces will sit in the narrower frame on each side. I would like to take this opportunity to bring up Expert Crown Moulding again. They didn't just put up full-wall wainscoting in my living room today (and it's a very large room), they also installed this half-wall wainscoting in my foyer and along the curved staircase. And they did all this in one day from 9am to 8pm! Now here comes the downer! 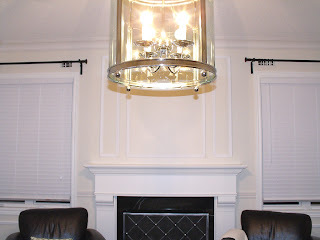 I just found out the Troy Alta Sconce I love so much has been discontinued. There are some odd sites in the States that still sell it, but I don't know if I can trust them. And then I fell in love with this Twinkle Crystal Sconce from Chameleon. I was so heartbroken when I saw a silver-finish one costs $1,800! 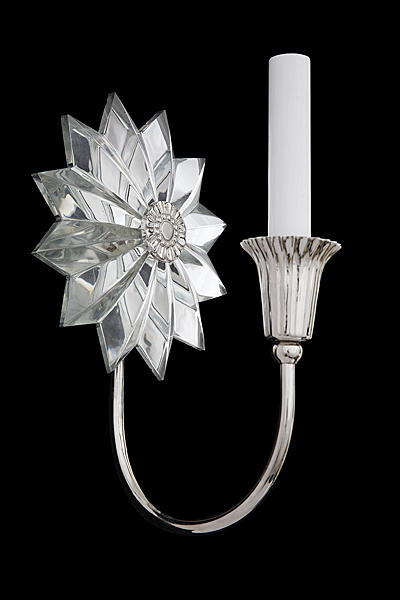 I just can't justify spending two grand on a tiny sconce like this, as much as I so dearly adore it. So the hunt for a new sconce goes on. So that's it for Day 1, enough excitement in one day. We are going to take the long weekend off, do nothing but eat and sleep...ah, La Dolce Vita!